Being very safe on the road is a high point for this vehicle. That explains all the certificates and prizes awarded to the Honda CR-V 2017 for being one of the safest vehicles in the market. 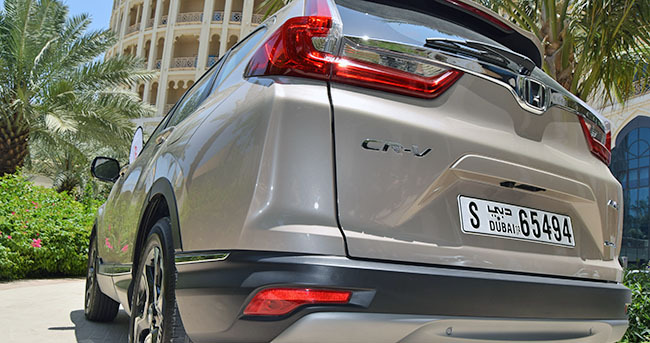 Available only in few regions in the world, specific CR-V models have built in safety technology such as the Forward Collision Warning, Lane Departure Warning, Collision Mitigation Braking System and Road Departure Mitigation System keeps the driver alert. Safety procedures also include groundbreaking airbag technology like the Dual-Stage airbags that are designed near the front side of the car with attaching side curtain airbags connected to Rollover Sensors. This is the latest technology Honda is using in their vehicles and lowers the percentage of fatal crashes. The 2017 CR-V model introduces the Driver Attention Monitor. This new system continually monitors steering inputs to gauge the driver’s level of awareness becoming inattentive. When it senses that the driver is suffering from fatigue, it warns him / her to take a coffee break. It just hugs the road! The trunk provides plenty of room to store any luggage you and others may have. 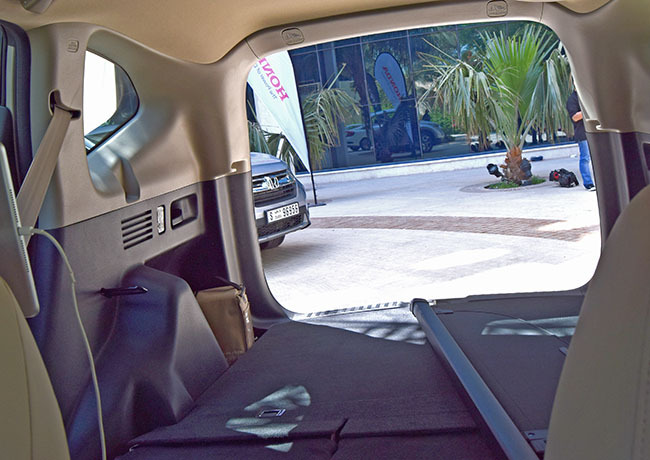 Folding the back seats is a breeze, instant storage space in a jiffy. For being a smaller sized SUV the amount of space in this car is quite amazing. The sleek wooden colored panels make for a fine finish and compare nicely with the leather-trimmed interior. The Honda CR-V 2017 touchscreen controls leave more to be desired. 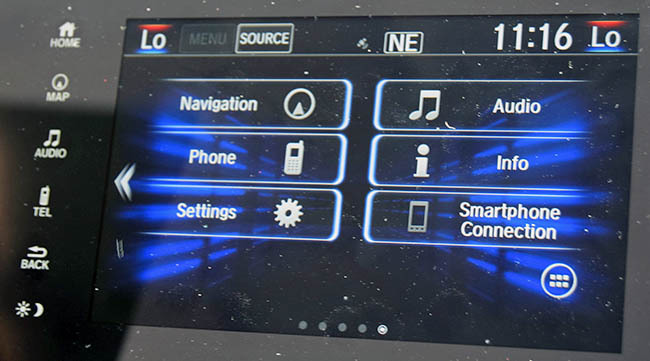 The design of the touchscreen controls doesn’t offer much, and leaves more to be desired. 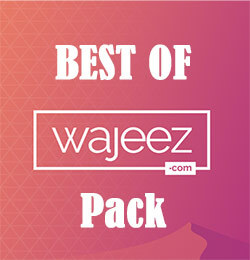 Still, the options and programability hits a high note as well as offering other useful applications. The Honda CR-V 2017 allows for a reasonably quiet ride, compared to previous models. 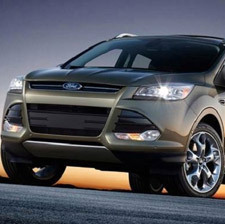 It achieves that by canceling out much of the noise due to the turbos refinement. That and the better cabin noise insulation that should have been implemented in previous models long back. The new dashboard is a welcome change. The Honda CR-V 2017 and it’s 1.5 & 2.5-liter engines perhaps doesn’t allow for much power yet provides a reassuring amount of acceleration. Sitting at around (185 Hp for the 2.5-liter) and (130 Hp in the 1.5-liter) allows for just enough torque to ensure enough speed anywhere you go. 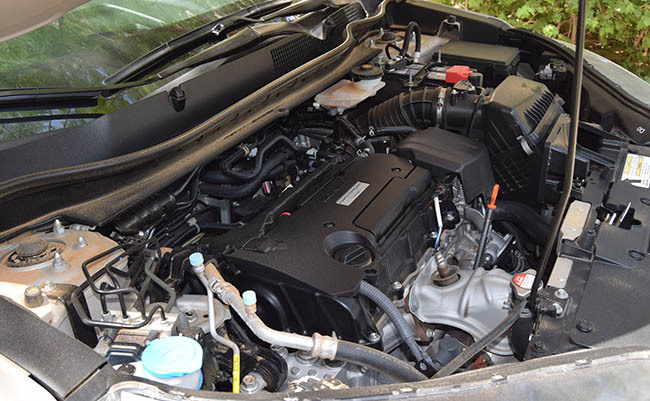 Under the hood, where all the magic happens! Riding with the family, and in need to overtake another car? The 2017 CR-V can do that and more. 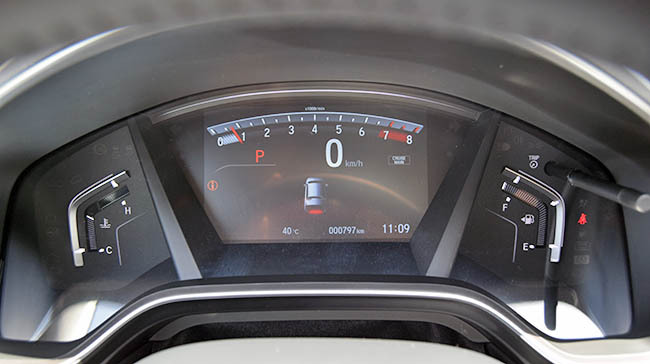 The engine noise – acceleration is considerably low then previous CR-Vs. Putting the pedal to the metal will see the Honda CR-V 2017 zips ahead with less engine noise. Hopefully with less fuel consumption as well. Bottom line is: when you need the CR-V to speed up, it simply does that right away. Steering has never been more simple, with electric assistance technologies implemented, turning has never felt more smooth. In most cases other car models haven’t seen the success in supporting this feature, the vehicle performs this task like no other. Another technology assistance has been put into this vehicle to dramatically improve handling. The All Wheel Drive (AWD) feature has the capability of reading and understanding road conditions. This expert design powers the rear wheels to successfully prevent from sliding in the ice and rain. The insulated cabin provides a better gripping load transfer to also prevent tragedy from ensuing. Dramatically increased suspension (Multi-Link Rear Suspension) also makes for smooth turns and no bumpy rides. You could literally fall asleep for hours in the backseat due to how smooth this car rides over bumps and cracks. Gas efficiency is something the Honda CR-V 2017 accomplishes very well. Due to the Continuously Variable Transmission, EX-EXL models sit at 26 MPG city driving, and an incredible 32 MPG highway plus gets a 28 MPG combined city/highway. The lesser LX model brings even better numbers at 33 city/40 highway and 36 mpg combined! 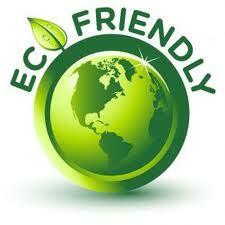 These numbers are exceptional and will save you hundreds of dollars in gas money a year! Hopping into to the Honda CR-V 2017 never felt better. The spacious quality and wide doors allow for entering the vehicle with comfort and ease. There is no feeling squished when taking a drive with a group of friends. The backseat accompanies room for three sizable people, the middle seat provides as much room as the outer seats. The front seating area provides a spacious and comfortable arrangement. 42.3″ / 36.0″ in leg room, made out of quality leather and very cushioning seats that have lumbar support tuning. However, the passenger seat doesn’t include a height adjustment. Included with the above features the Adaptive Cruise Control makes for a simple drive down a long road. When on a long drive, the Lane Keeping Assist System (available on certain countries in the world) will prevent you from lane swerving. Potentially saving you from a crash and or getting pulled over. Among its many fine features and space, provide yourself more room when needing to store extra luggage, groceries, or equipment. Making use of the fold-down rear backseat with a 60/40 split will give you the extra space you need. The center console inside this car is an absolute beast, the deep storage provides a ton of room to keep whatever small items you need to carry with you along with a built in phone shelf, sliding tray and several cup holders in front and back. Wide panels in the doors also allow for extra storage for your belongings. The hand-break is now a button, not a pedal! 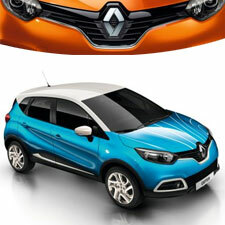 Prices vary within the categories of this vehicles models but a reasonable value is assured. $29,295 for the (1.5-liter 4cyl EX-L edition). For a brand new car, these price variables are affordable and you can be paying as low as $450 a month with minimal cash down. Unlike the previous generation of CR-V models 2017 has a wider and taller body and makes for a higher ground clearance, preventing damage from bumps and potholes. The aerodynamic hood intrigues a newly wind-tunneled design improving the aerodynamic drag. Not only that but the Active Shutter Grille System also prevents the drag at specific cruise speeds. The grille has a uniquely open and close routine that provides excellent airflow to the engine. Designing a more narrow A-Pillar compared to the older models provides a better viewing angle for drivers at intersections and hard to view corners. 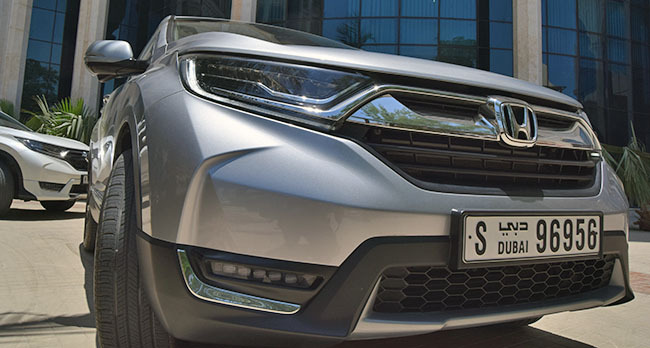 However instilling the vehicles Power Side Mirrors help in reducing turbulence and wind cancellation, and are even heated on the sport and EX-models to reduce fog build-up. The mirrors can be automatically turned inward to allow for extra parking room. 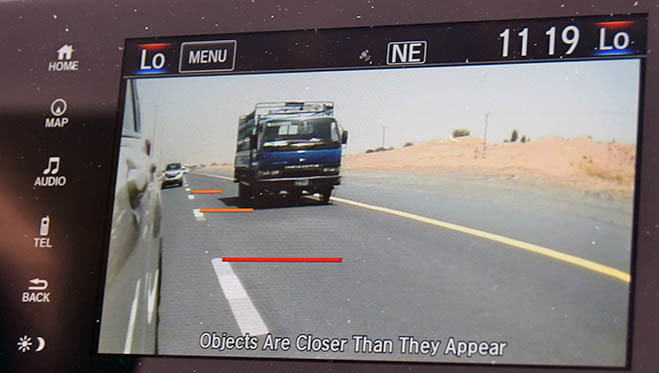 Use the built in dash cam to see everything behind you when preparing to back up, narrowing down blind spots and preventing accidents. 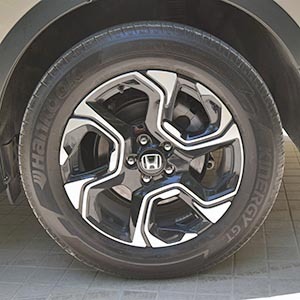 A reader asked for a photo of the Honda CR-V 2017 wheels! 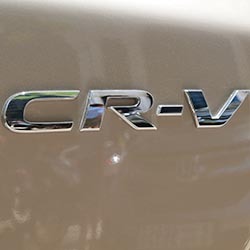 Simply put, if you own a previous CR-V model, don’t! Unless you are fed up with the cabin noise, abysmal fuel economy, and the shorter body length, don’t. The difference between the other CR-Vs and this new comer does not justify the jump. Honda fans can go ahead and stay in the Honda realm. Satisfaction guaranteed, like always.